William Oakley was tried for the murder of his wife, Cora in the nineteenth century and acquitted. He was forced to flee the country because of the weight of public opinion against him. He was subsequently declared dead by the courts in order to resolve property ownership. Currently the house where the suspicious death took place is owned and occupied by two elderly spinster sisters, Damaris and Florence. Out of the blue a young man from Poland turns up claiming to be a descendent of ‘Wicked William’. When he is murdered by means of the same poison Superintendent Alan Markby must investigate and put aside all personal feelings. I thought the way the two crimes were interwoven was very well done and I found myself just as interested in the original crime as the present day one. Links between past and present are becoming all too common as a plot device in many fiction genres but this one is rather more subtle than most and both crimes are fully explored instead of one of them carrying much less weight than the other. I though the characters were well drawn in both past and present strands of the book and there were some very neat twists which the reader may or may not spot. I didn’t spot several of them. 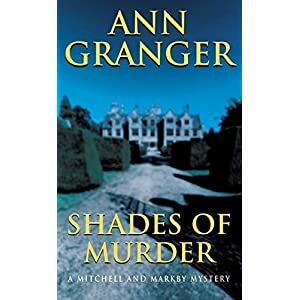 This is an excellent read and unlike most of this series the book probably could be read as a standalone novel because the developing relationship between Meredith Mitchell and Alan Markby takes something of a back seat in this story.